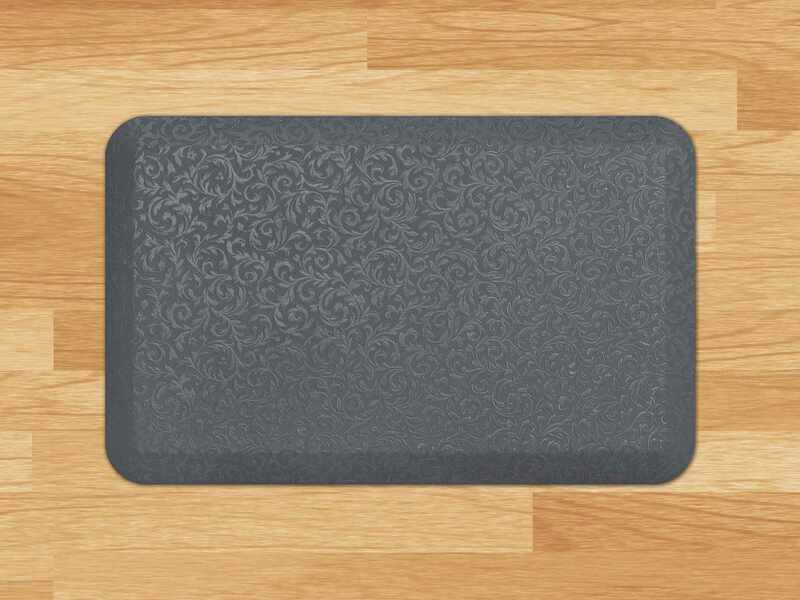 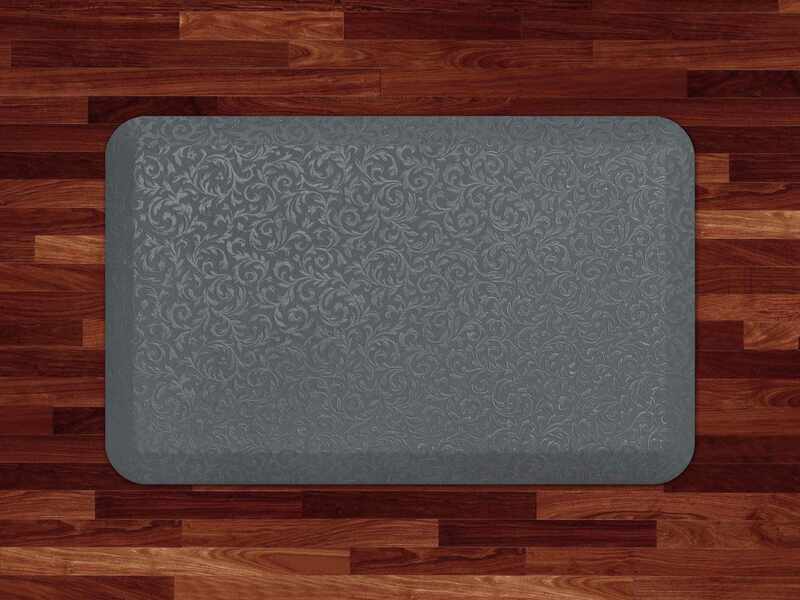 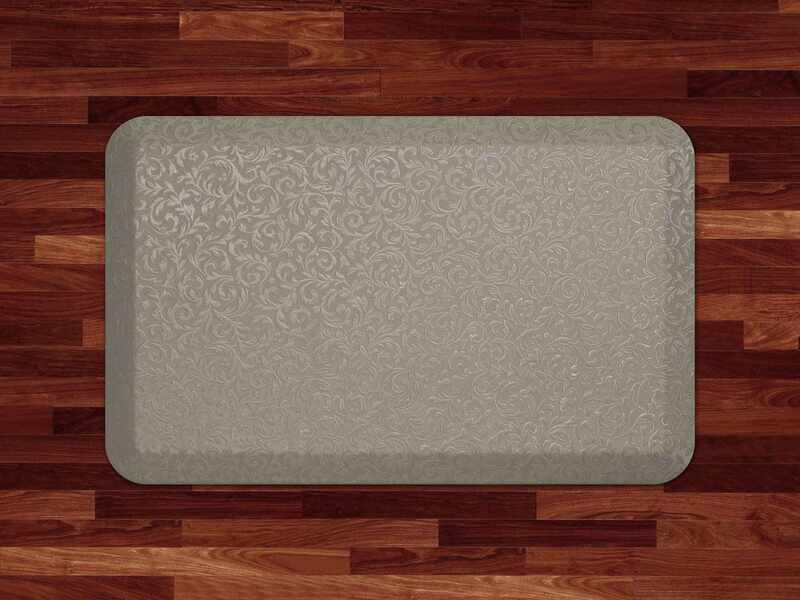 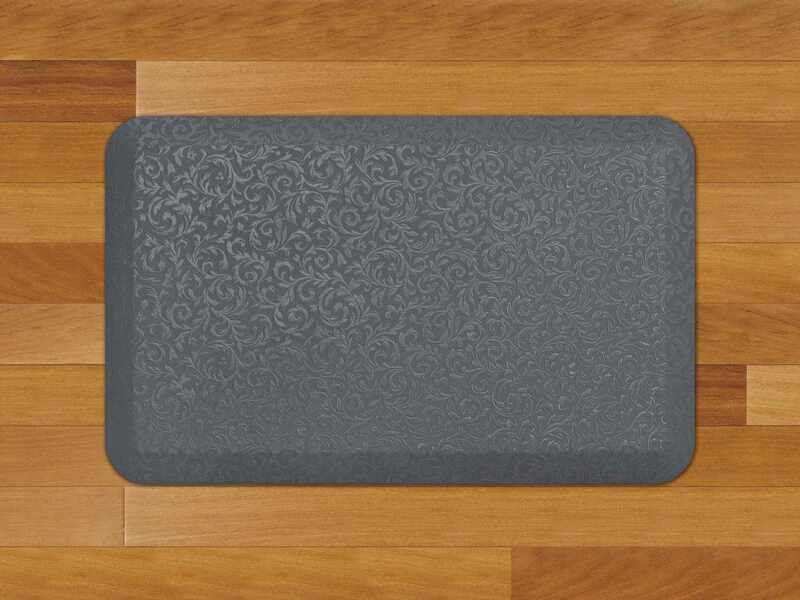 Style meets performance with NewLife’s embossed Vine pattern. 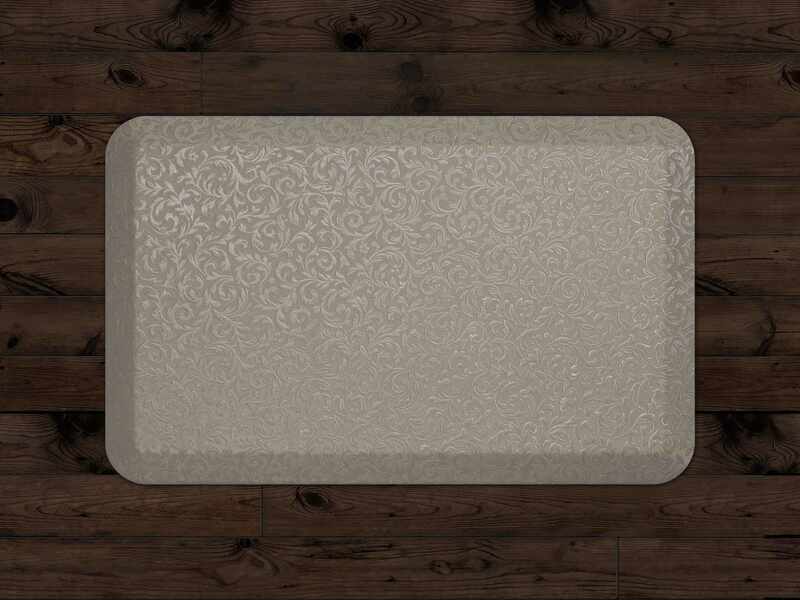 This subtle organic design feels fresh and versatile enough for all spaces, including the kitchen, laundry room, garage and even in work spaces. 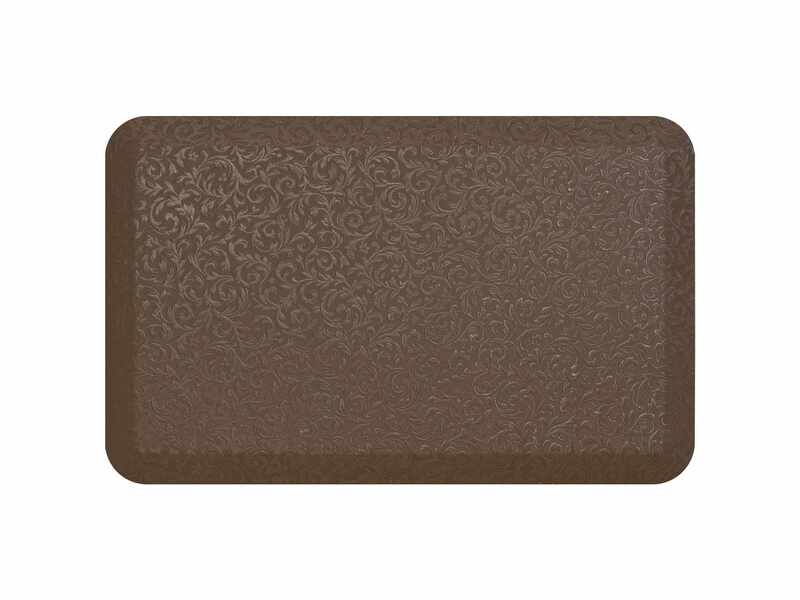 Belgium Brown is a dark brown similar to rich cocoa. 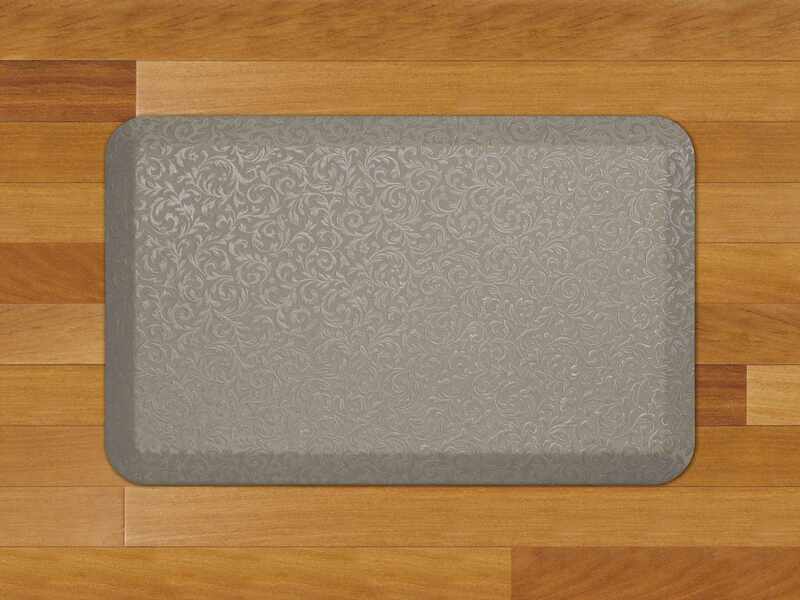 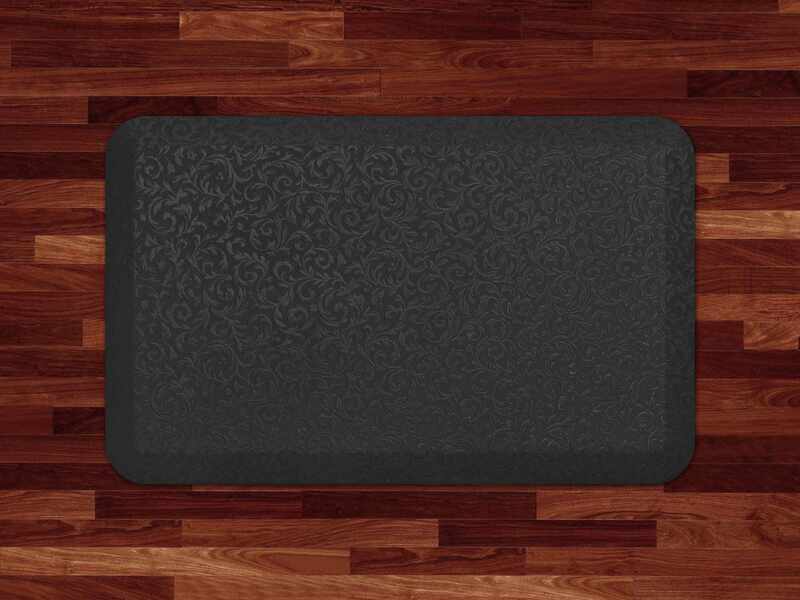 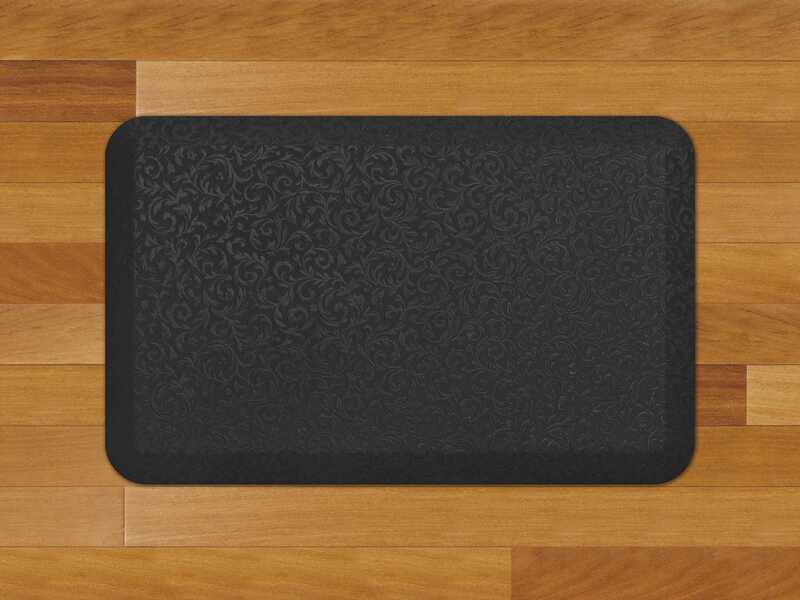 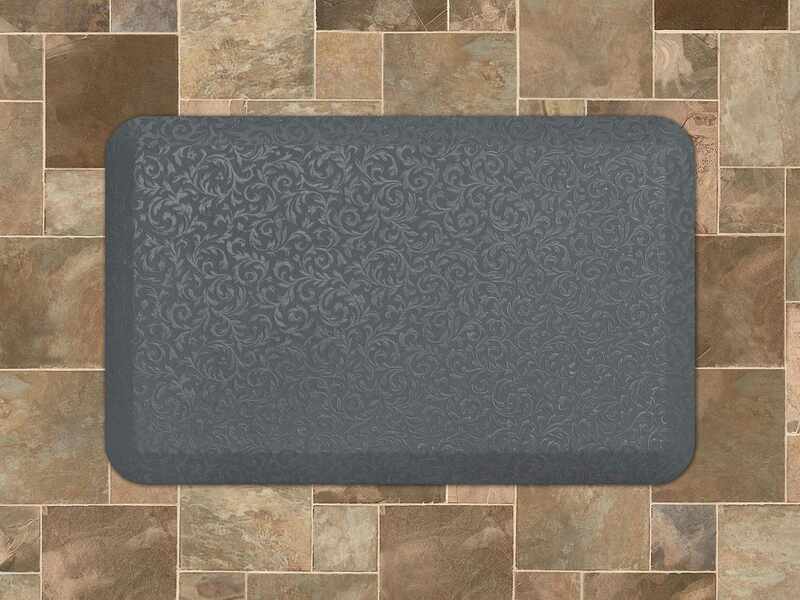 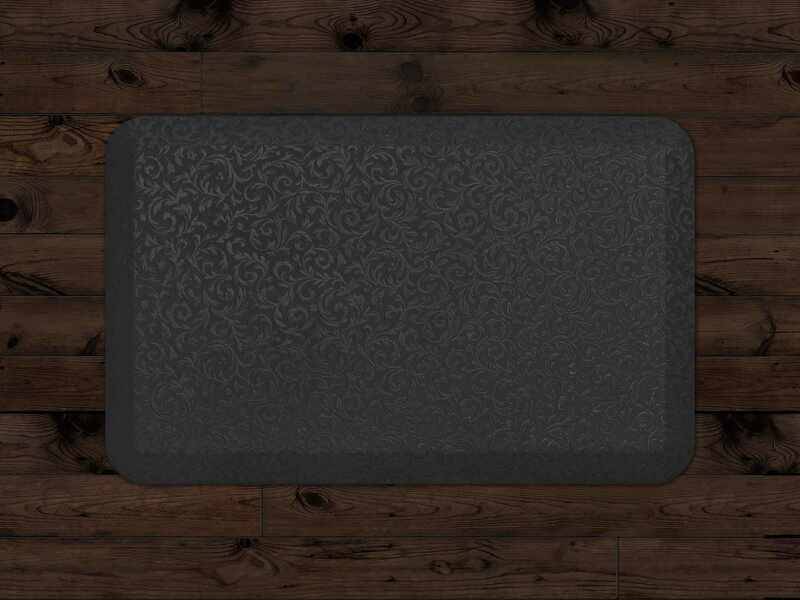 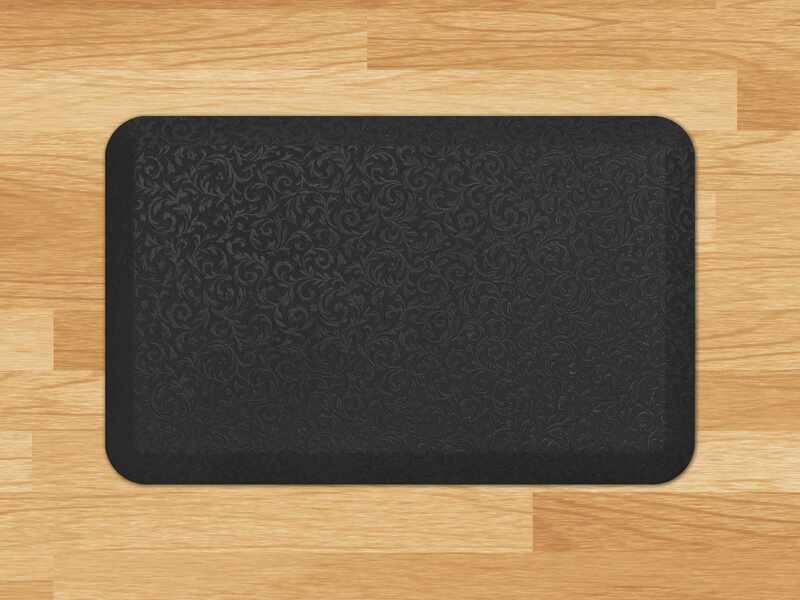 Constructed with eco-friendly Bio-Foam®, NewLife® Professional Grade Comfort Mats stand up to the tough demands of heavy household traffic while delivering strong support and deep-cushioned comfort. NewLife’s ¾” thick molded energy-return foam never bottoms out or loses its bounce. 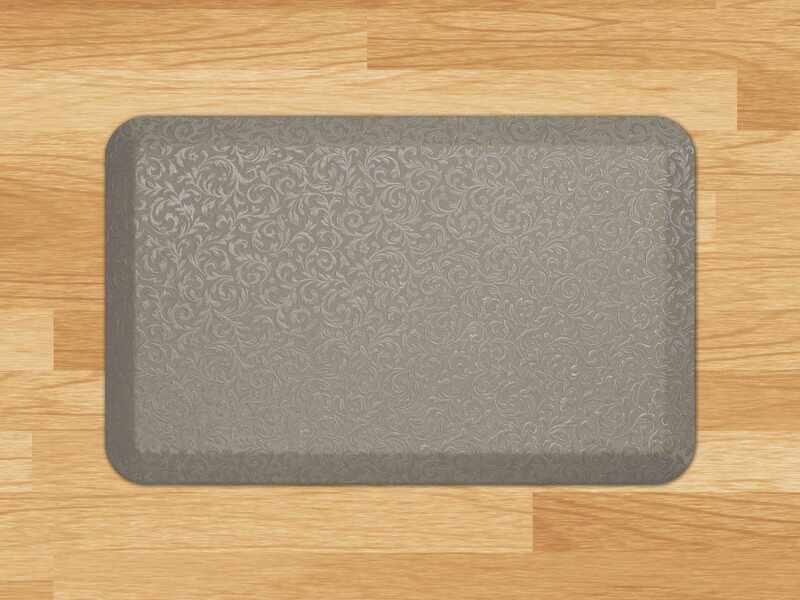 Its superior resilience and pushback memory restores energy while relieving fatigue and discomfort caused by standing. 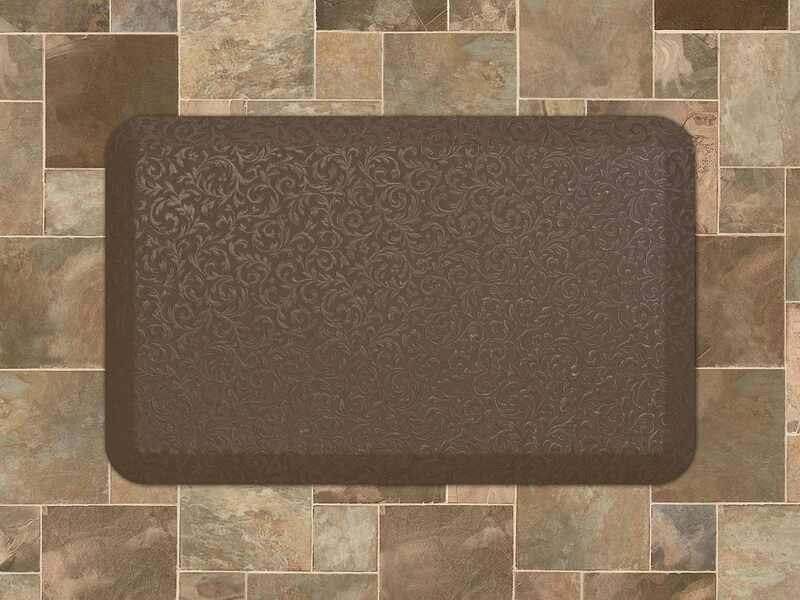 This professional grade polyurethane mat is stain- and puncture-resistant and comes with a 10-year warranty.